Wings and football seem to go hand-in-hand. With the big football match this weekend I couldn’t think of a better time to share these wings with you. These are the perfect alternative to the traditional fried buffalo wings. 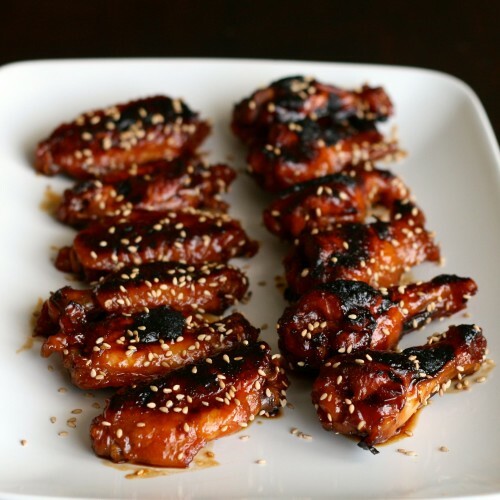 They are baked in a garlicky sweet teriyaki sauce that thickens up nicely to coat the wings. You will be licking your fingers and going back for more. Are you hosting or attending a Super Bowl party this weekend? What is on your menu? Bake for 1 hour uncovered. 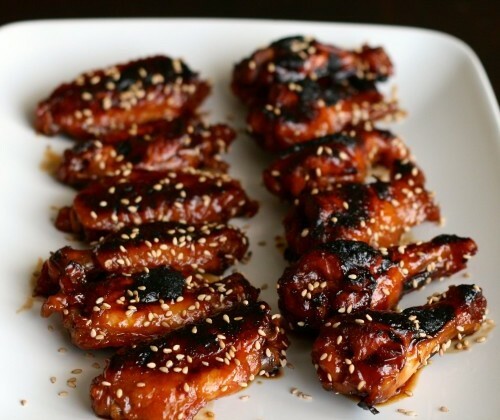 Turn broiler on high and give the wings a slight char --it is such a great touch! Wings are one of my favorite foods, just tonight I was craving them then you posted this. I need to get these in my life!